This hotel boasts a prime setting in La Cerdanya. It is located just a 10 minutes' walking distance away from Puigcerda town centre. Guests will find themselves surrounded by ample opportunities for exploration and discovery. Guests can explore the stunning, natural environment, as well as the customs and festivals of the area. The area is immersed in culture, art and history. Guests can enjoy a wide range of exciting activities nearby, including horse riding, biking, mountaineering and ballooning. 10 ski resorts can be found within a 20 minutes' radius of the hotel. This wonderful hotel offers an inviting ambiance, in which to unwind. The guest rooms provide the perfect setting in which to relax after a long day exploring the area. The hotel's facilities and services are sure to meet all expectations. Make yourself at home in one of the 38 air-conditioned rooms featuring minibars and flat-screen televisions. Complimentary wireless Internet access is available to keep you connected. Private bathrooms with bathtubs or showers feature complimentary toiletries and hair dryers. Conveniences include safes and desks, and housekeeping is provided daily. This hotel is situated in a quiet area right outside of Puigcerdá, in the Cerdanya region of the Catalan Pyrenees. Surrounded by unspoiled nature and beautiful scenery, it is close to the Cadí Moixeró Natural Park and there are plenty of opportunities for skiing during the winter, especially in the La Molina resort, which is a 30-minute drive away. Fans of the fairway can find a challenging golf course in the immediate vicinity, while the freshwater swimming pool of the venue is just perfect for spending the lazy afternoons with a good book in hand. Other activities include full-sized tennis courts for those who fancy some friendly competition. Dining in the onsite restaurant is not just tasty, but due to the rich regional cuisine, prepared with seasonal local ingredients, and the varied wine list, it is a true joy for all senses. 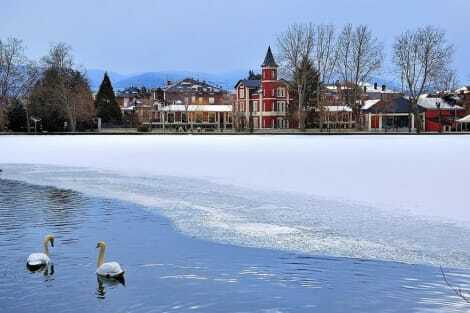 lastminute.com has a fantastic range of hotels in Puigcerda, with everything from cheap hotels to luxurious five star accommodation available. We like to live up to our last minute name so remember you can book any one of our excellent Puigcerda hotels up until midnight and stay the same night.